When we think of rolling waves, golden sand and coasts lined with palm trees, places like the Indian Ocean and the Caribbean immediately spring to mind. Sun worshippers flock to far-flung destinations to chase elusive pristine beaches, all the while ignoring the lesser known gems of the coast, many of which are closer to home. Even if those glossy palm trees have to be replaced by more modest pines or oaks, if you look beyond typical sea-side destinations, you’ll realise that there’s a whole world full of underrated beaches out there that deserve some more attention. The Land of Fire and Ice is famous for its status as an island created by lava. Volcanoes are so revered here that cities compete with each other about who has the best. 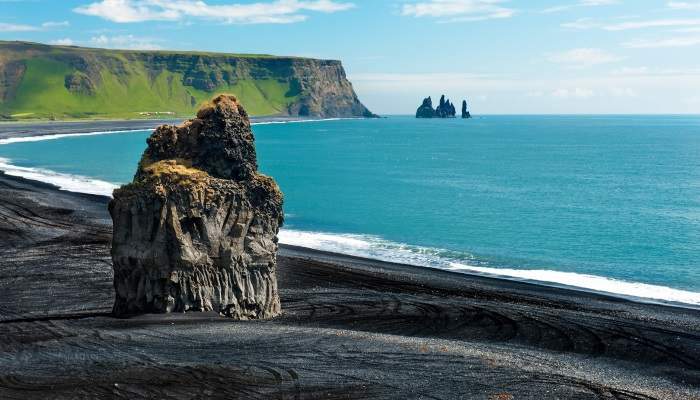 With all of this going on it’s easy to brush aside Iceland‘s beautiful beaches, many of which have amazing black sand. In summer, average temperatures can reach a pleasant 20-25°C. That’s enough of an excuse for you to grab your bucket and spade and head to the fjara (that’s Icelandic for beach, by the way). Your day doesn’t have to end at dusk either, because in June, it stays light for 24 hours. Think of the tan you could build in that time (using plenty of sun cream of course). You might even catch a glimpse of a humpback whale or two! The possibility of appearing as an extra on a primetime Korean melodrama is as good an excuse as any to get dolled up and hit the beach. Hyundae beach is a choice filming location for some of the melodramas for which Korea is growing increasingly well known. Sun yourself while you watch the nation’s stars acting out their most heart-wrenching moments. Too bad you may not understand a word they’re saying. Or you can feed your competitive spirit in the Folk Square where you’ll be able to try your hand at Neoldduigi (seesaw jumping), Korean wrestling, arrow throwing, and tug-of-war. Every May, Hamburg transforms into a hotbed for beach clubs which set the city alight in the evenings, injecting even more of a buzz to this lively port city. Tonnes of sand are transported to the riverbanks of the city, to transform them into tropical beaches, complete with palm trees and deck chairs. The coastal breeze carries with it a fantastic atmosphere. Just think, you could be clad in your Havaianas, reclined on a sun lounger with shadows of palm leaves grazing your bronzed complexion. 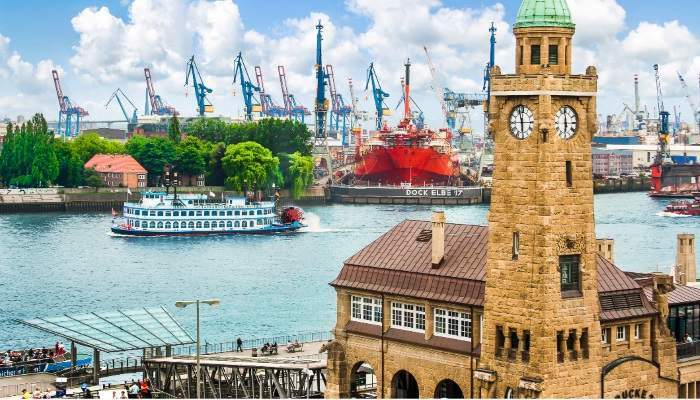 The added bonus is that you’ll be in Germany’s second city complete with museums, shops and restaurants – enough a lively holiday even if the sun goes in. You’d probably assume that being a landlocked country prevents Switzerland from cashing in on its share of beach tourism. Think again. 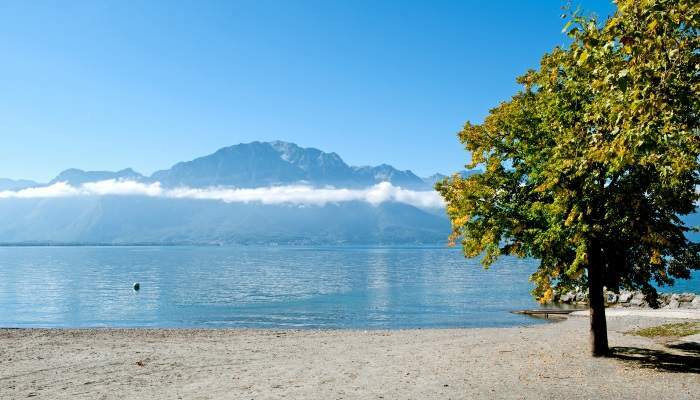 Switzerland boasts some stunning, secret beaches on the coast of Lake Geneva. Here, you can enjoy views of the snow-capped peaks of Mont Blanc, and feel thankful that you’re not up there sporting three layers of fleece and still shivering. This stunning setting is great for those with a love of nature. Think lush vegetation lining the foothills of the Alps and zero pollution. Oh and the fact that you could be bathing in Evian water. Forget ancient temples, palaces and mammoth sky scrapers. 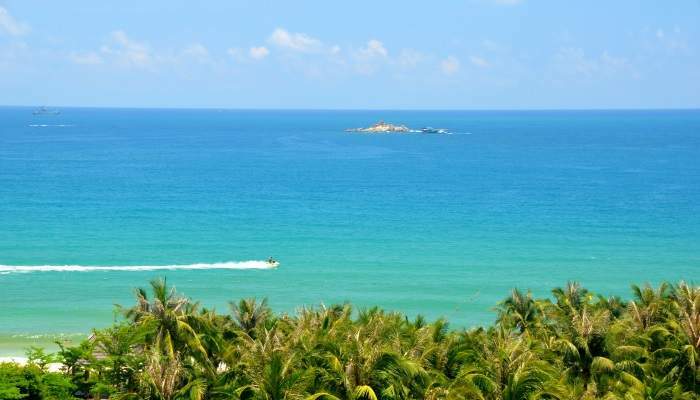 Avoid the pollution and hubbub of China’s cities by heading towards the southern coast of Hainan Island. Here you’ll find some truly amazing beaches with opulent five-star resorts scattered across them. With its four-mile long, crescent shaped beach and crystal clear waters with visibility up to eight metres deep, Yaolong Bay will make the Great Wall seem like a distant memory. Scorching summer temperatures make spring and autumn the best times to visit, and while you’re there, be sure to do some snorkelling. There’s an abundance of beautiful tropical fish and colourful coral to drift around with. A very tangible pride for Parksville’s sandcastles can be felt upon arrival to the beach. And it’s well founded; they’re works of art, turning the area into more of an art installation than a place for lounging around slathered in factor 30 with a mojito in hand. These aren’t just slabs of sand falling off of one another like medieval ruins. Three-tiered palaces with spires and fortresses will leave you wondering whether the builder commissioned blueprints before construction, and recreations of iconic classical sculptures elevate the art of sandcastle-building to the level of the work gracing galleries all over the world. Time your visit right and you’ll be able to marvel at these unbelievably detailed creations. 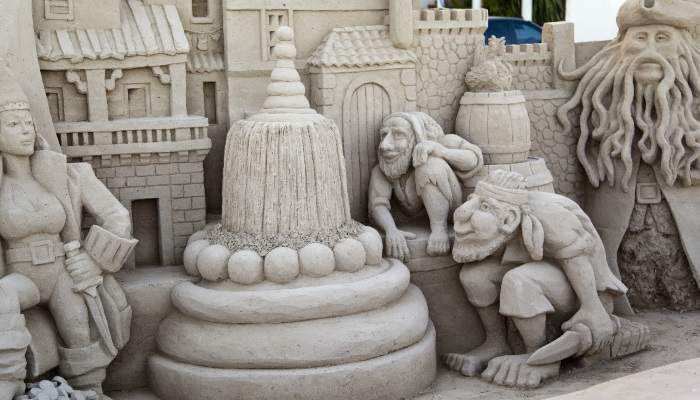 The competition is held every July and draws in sandcastle critics and amateur artists from all over. The average tourist visits Helsinki for its museums, cathedrals and thriving music scene. Who knew that it was also a great place to catch some rays? Because of its northern location, in June, locals revel in Finland’s 19-hour days. During a visit to Hietaniemi beach, a mere 10-minute drive from the city centre, you can join a game of beach volleyball with dedicated members of the Hietaniemi beach volleyball club. They’re always open to new members, local or international. If that’s not your thing, take a dip in the invigoratingly fresh sea water which is known to freeze over in winter – it’s great for circulation! Poland has some fantastic family-friendly beaches on its north-western coast. The Baltic Sea is known for its shallow clean waters, and highs of up to 25˚C in July allow visitors’ skin to develop the sought-after sun-kissed look rather than that of a scorched husk. Swinoujście, a Blue Flag beach, has really got it going on with azure waves carrying 17-21˚C of warm water to its golden coast. That and a pier, volleyball games, changing facilities and lifeguards make it a great place for families and couples alike. If that wasn’t enough, Swinoujście beach also has its own amphitheatre which hosts concerts almost every night during the summer months with seats for up to 3,500 people. Swinoujście is also home to music and art festivals in the summer, making it a must-visit destination for culture devotees. For decades, the limelight that has been placed upon Turkey as a beach holiday destination has done Romanian beaches a great injustice – both countries share the same sea but Romania has received far less press for its beautiful seaside resorts. After approximately a three-hour drive from the bustling city of Bucharest you’ll find yourself in Mamaia, a long, thin stretch of land where, in July, temperatures average around a balmy 25-30˚C. Mamaia is proud parent to the beaches with the finest sand in Romania and, at a length of eight kilometres and width of only 300 metres, the stretch is sandwiched between Lake Siutghiol and the Black Sea. So it’s a great place for those of you who are passionate about the sea but not about salt coatings on your skin, because you can just rinse off in the freshwater lake afterwards! 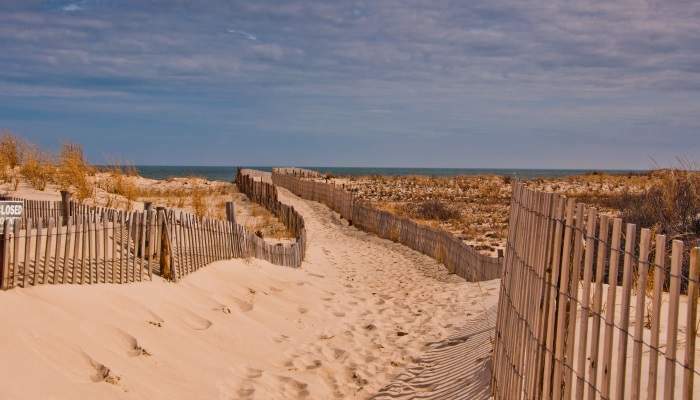 Delaware is not an obvious choice for British holidaymakers intending to cross the pond to the US, but it is a good one if you want a seaside resort with all the attributes of a Californian beach but with far fewer people. Stroll along the boardwalk admiring the pretty, pastel-coloured houses, or grab some popcorn and head towards the blow-up cinema screen where the summer line-up includes family-friendly classics. Calm waters make this beach a great place for pretending to enjoy the ocean while someone takes pictures of you for the purpose of showing off your beach-wear or toned abs – because the waves won’t sneak up on you and mow you down mid-photo.